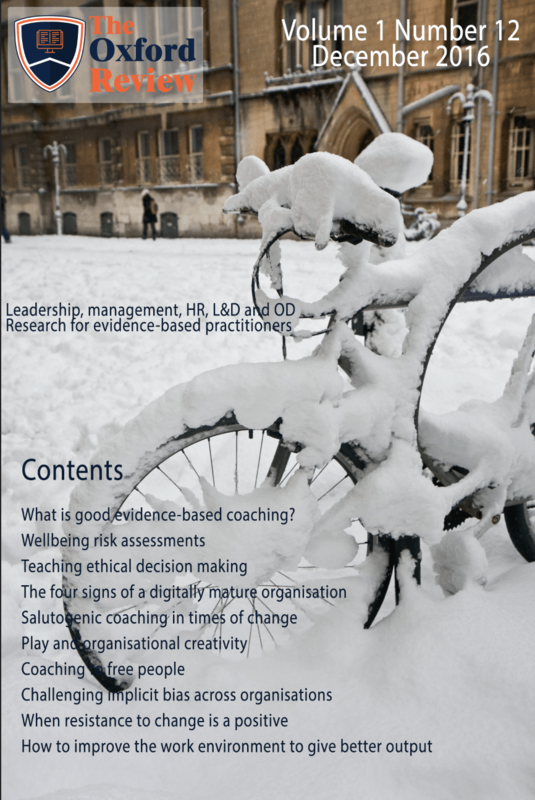 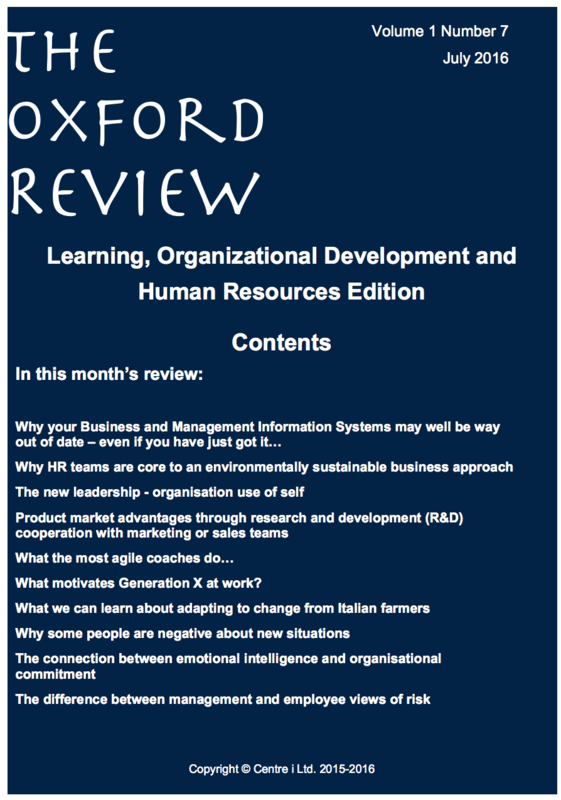 The very latest evidence, thinking and research across the areas of Organisational Development, Organisational Change, Leadership, Management, Human Resource and Human Capital Management and practice, Learning and Development and Coaching. 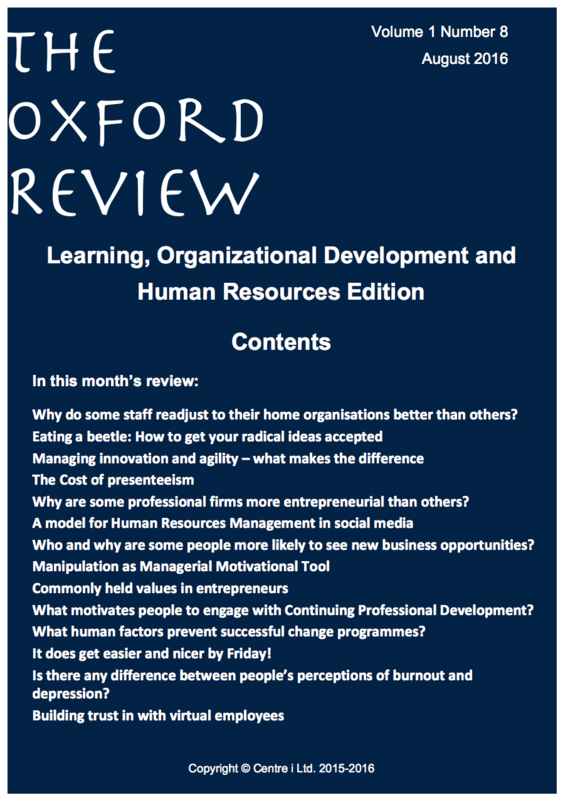 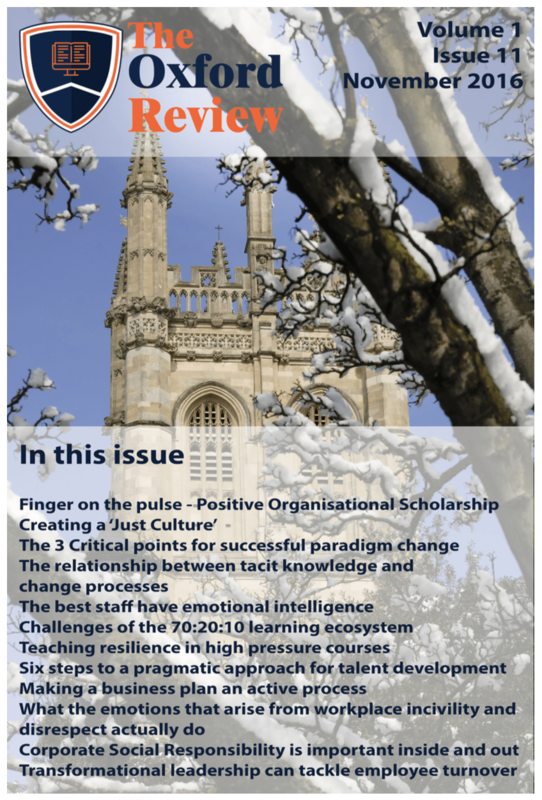 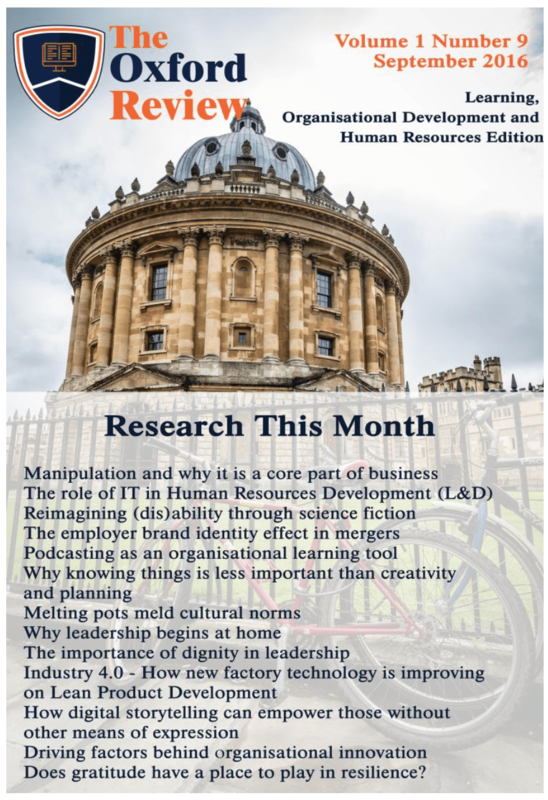 The Oxford Review is a monthly journal containing jargon free, practical and useful research briefings. 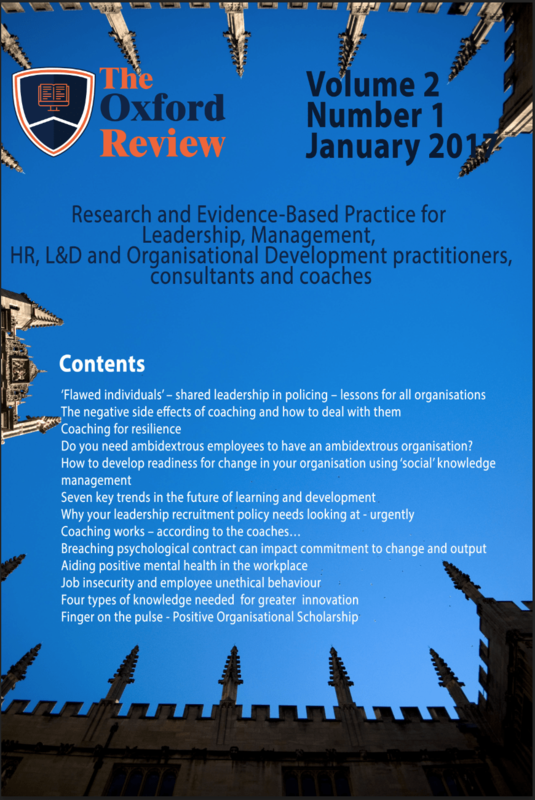 No opinion from people trying to sell you something, just the extremely useful pure research findings, evidence and facts for practitioners, consultants and coaches. 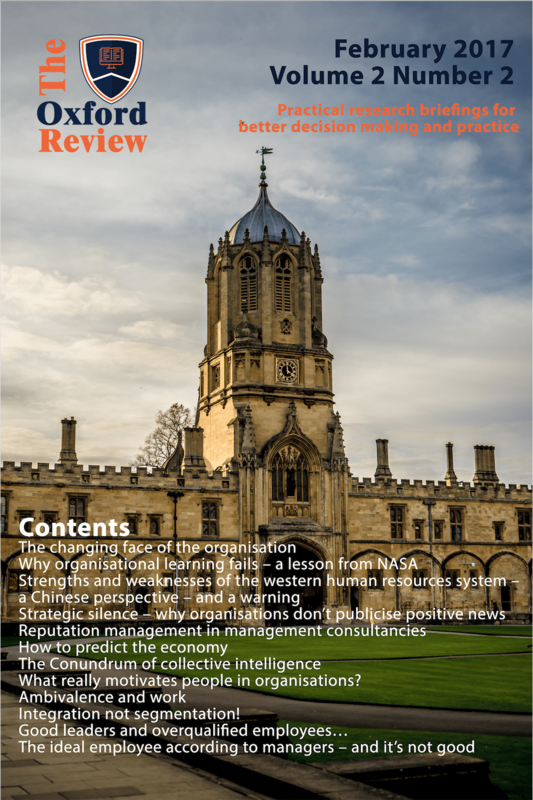 Members get full free access to all archive and download materials – every back copy and the entire archive of research briefings – as well as the weekly updates, infographics, video research briefings, live webinars and more.